Five Lake Bruin bass like this will win any tournament or make any weekend angler happy. 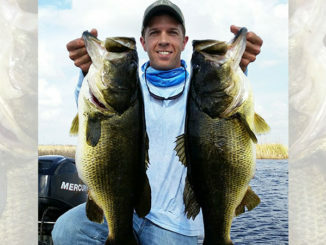 Richie Dickey is a third generation bass fisherman and it shows. 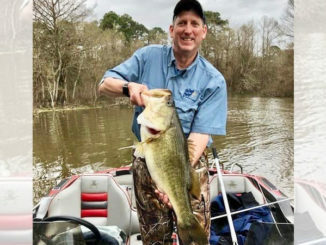 He has caught some big stringers of largemouths from many area lakes, but when it comes to April’s bite, he knows it’s time to head to Lake Bruin. 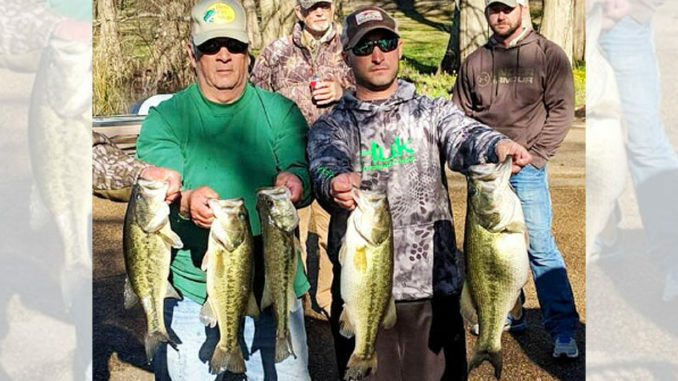 The 34-year-old Winnsboro native starts out his quest for bass in the shallows, usually around the trees in 2-3 feet of water. If he doesn’t have luck there, he moves to the deeper trees and then if the fish aren’t there for some reason, he goes to his electronics and finds mats and tops that people have put out around piers and the drop-offs. No matter where he has to find the bass, his go-to lure at Bruin is the jig with a trailer. 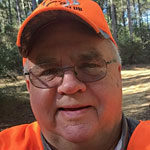 Typically, both ends of Lake Bruin receive a lot of pressure — from the State Park end on East side to the other end of the oxbow where Brushy Bayou provides more narrow passages and shallower water. Fish can be caught throughout the lake as well, but they seem to move from one spot to the other with changing weather. A spring cold front can move the fish out pretty quickly, but that is where the electronics come in. 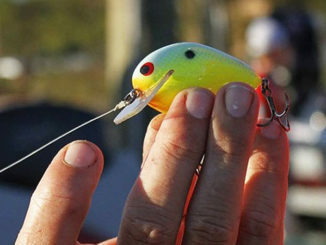 Fish will move out on the tops and the best bait besides a jig is a deep diving crankbait like the Strike King 5XD. In stained water, you can’t go wrong with chartreuse and black. In clear water, he likes shad colors.